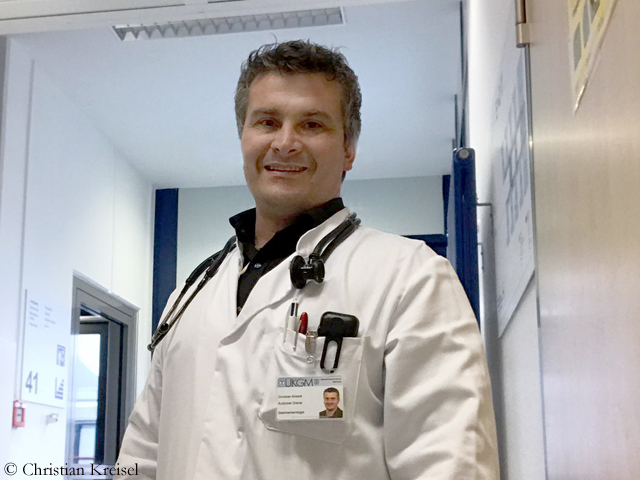 Kreisel is looking for 25 athletes who participate in the study – mountain bikers or mountain runners. 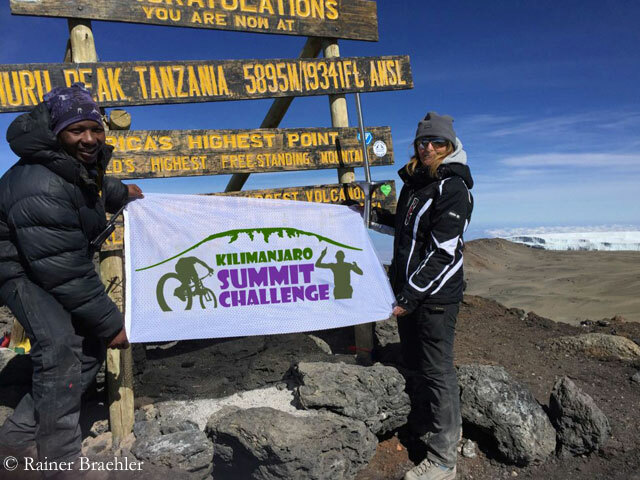 From 24 September to 1 October 2017, they are to climb the highest peak in Africa. 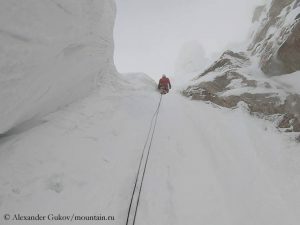 A three-day training camp is planned at 3,700 meters, an overnight stay at 4,800 meters and a summit attempt. 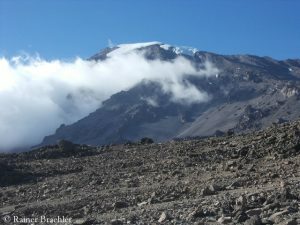 Before and during the trip, numerous medical and also psychological tests will be made. 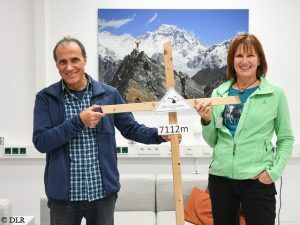 At the same time, the athletes receive data on their performance at high altitude, which should also be useful for their future mountain sports projects. 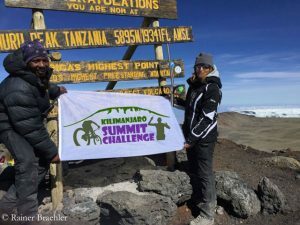 “Up to now, pursing sport seriously on a mountain like Kilimanjaro was a dream limited to just a few elite athletes,“ says Rainer Braehler, organizer of the “Kilimanjaro Summit Challenge”, “but with this study, ambitious amateur athletes can now test their limits at very high altitudes – with the reassurance of full medical supervision”. 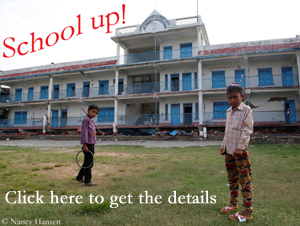 Those who are interested in taking part, find the details and can apply on the website of the project. 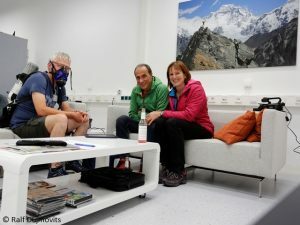 “We were the mice for five weeks,” says Nancy Hansen describing the time she and Ralf Dujmovits – as reported – spent in a hypoxia chamber at the German Aerospace Center (DLR) in Cologne half a year ago. And suddenly the call came from space: “Here is Alex”. At first Ralf Dujmovits did not know who was talking at the other end of the telephone line: “Alex? Then I suddenly recognized the voice I had heard two days earlier during the broadcast of the rocket launch.